Big Guy? Looking for King size Rugby themed Gear? Lok no further than Georges ,the only Big Man's Shop in the UK to be consistently rated at 5stars, both for our service and goods. Kingsize Hooded Rugby Sweat shirts, Polo Tops, and Rugby Shirts in stock to fit up to 8xl. This Weekend only to Celebrate British Summer Time starting. Massive clear out of Ends of Lines and discontinued Items. 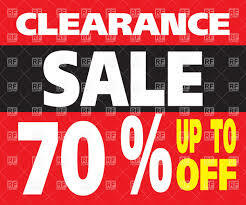 70% Discount on Loads of King Size Tee's, Polo Tops, Grandad, Vest Etc. But be quick this FLASH Sale is only for this weekend !!! This week end only. POST FREE shipping on all orders to UK, N,Ireland,and Europe destinations. See our site for details. We are now fully established in our Brand New Shop on the outskirts of Chester. Now based on SEALAND road, just a few minutes drive from Chester city Centre. We can now offer FREE PARKING right by our front door, with large shop, all on one level with easy access. We are pleased to annouce the preliminary launch of our Brand New Website - feel free to explore the links and leave any feedback at dave@bigmen.co.uk. Please bear with us whilst we develop the site over the coming months and migrate our very extensive stock of big mens clothing on to here for ordering. Thanks! This site is currently under development, and is in response to customer feedback to offer a more modern feel website / simplify and update navigation / speed up ordering / improve Search function / display stock levels / automated password retrieval. For the first time Customers will also be able to benefit from Online Tracking, and be able to trace progress of their order from initial payment right through to final delivery. WWW.BIGMEN.CO.UK - Business as usual ! Follow our quick link back to our regular website from the Home Page.